DALLAS, Feb. 12, 2019 (GLOBE NEWSWIRE) -- via OTC PR WIRE -- North American Cannabis Holdings (USOTC: USMJ) (“USMJ”) and West Coast Ventures Group Corp. (OTCQB: WCVC) (“WCVC”) today announced a lunchtime (12–2 pm) event this Wednesday, February 13th, in downtown Denver, Colorado at WCVC’s Illegal Burger (1512 Larimer St, Denver, CO 80202) to introduce Puration’s all new EVERx CBD Sports Water. A second event is scheduled for lunchtime on Friday, February 15th, at the same location. USMJ, WCVC and PURA are all three small publicly traded companies with big plans that have partnered together to further their prospects for successful rapid growth by sharing each other’s resources on parallel explosive business development plans. WCVC currently has six restaurants in the Denver area under its Illegal Burger and El Señor Sol banners and recently announced launching a franchise of its Illegal Burger restaurant chain. 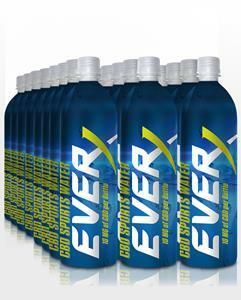 PURA is a cannabis beverage producer and this week is introducing an all new formula and packaging of its leading EVERx CBD Sports Water. USMJ is building a cannabis community brand centered around its WWW.USMJ.COM eCommerce site for CBD products and cannabis essentials. USMJ also recently spun-off its AmeriCanna Cafe cannabis themed restaurant business to Priority Aviation (name change pending) (USOTC: PJET) (“PJET”) and PJET in turn partnered with WCVC to launch an AmeriCanna Cafe food truck pilot in Denver this spring. WCVC CEO Jim Nixon and USMJ and PJET CEO Steven Rash will both be at the Wednesday Illegal Burger event to answer questions about the WCVC, USMJ, PURA and PJET partnership. Miss USMJ Models will be on hand for pictures and to autograph the 2019 Miss USMJ Calendar recently published by USMJ and on sale now at www.usmj.com, as well as www.missusmj.com and www.etsy.com. The Illegal Burger event this week is the first in a series of planned pop-up cannabis community events. USMJ's plans for WWW.USMJ.COM are to brand the site as an essential resource for people that identify as members of the cannabis community. USMJ and the Miss USMJ Team will be soon be announcing a series of additional pop-up cannabis community events as part of the strategy to brand WWW.USMJ.COM.